From this page you can print lined paper with three columns. These Printable papers are part of Donna Young's "by Columns" lesson planner set. Like the other planners in the by Column set, the files are available in both PDF and DOC. Click on this image to see a larger photograph of the printed files. What are these types of papers for? A daily lesson plan list for three children? (If yes, see also timers.) Three spelling lists? Three grocery lists? There could be all sort of purposes for lined paper with three columns. If you landed on this page looking for lined paper and these papers are not what you are looking for, then please view my other lined papers linked in the lower half of the sidebar. I have hundreds of choices. 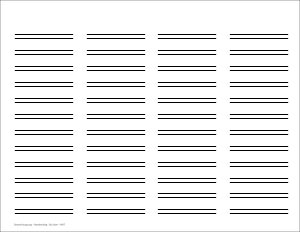 The ruled lines are available in various heights from narrow to very wide. The widest is very wide. I recently have test printed every file again in order to measure the rule heights. I test printed in the Chrome browser and "fit to page" was not selected. If fit to page is checked, the rule height will be a tiny bit smaller than the stated sizes. Please keep in mind that your printed results could differ slightly from mine. This is just to say that the posted rule heights are approximate. The rule is just over 1/4 inch, (6.6mm). This paper has 35 usable lines. The rule is 5/16 inch, (7.8mm). This paper has 30 usable lines. The rule is 3/8 inch, (9.3mm). This paper has 25 usable lines. The rule is just under 1/2 inch, (12.2mm). 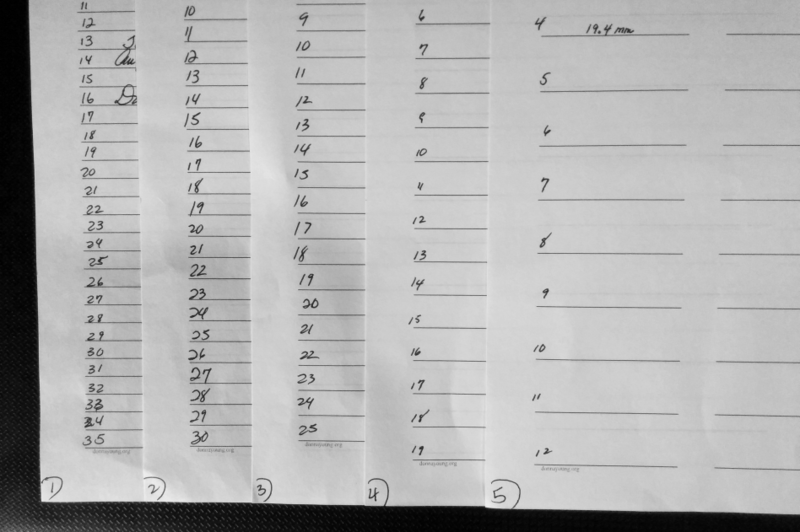 This paper has 19 usable lines; the first line is not counted. The rule is just over 3/4 inch, (19.4mm). This paper has 12 usable lines; the first line is not counted. This lined paper coordinates with the by Columns lesson planners. 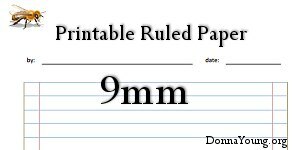 If you landed on this page only because you need lined paper, then be sure to visit my printable lined paper section. Note:Clicking on the doc links might load your word processor inside of your default browser, making editing more difficult. Read how to get around that on the By Columns home page, 4th paragraph. Adding Images to the DOC Files: On the bottom of the Homeschool Planners with One Column page, you can read a little about adding images to the word document files. I placed images into two of the files and linked them as example files.